As the Donald Trump presidency goes from crisis to crisis, it seems our friends down south are looking north for inspiration. And it seems they’ve found it, in the form of Canadian heartthrob Prime Minister Justin Trudeau, if a new survey is to be believed. The poll was conducted by analytic research firm Lincoln Park Strategies and Adam Shapiro Public Relations, both based in Washington, DC. Some 1,000 Americans were surveyed online between June 10 and June 14 about all things Canadian, ahead of our 150th anniversary. 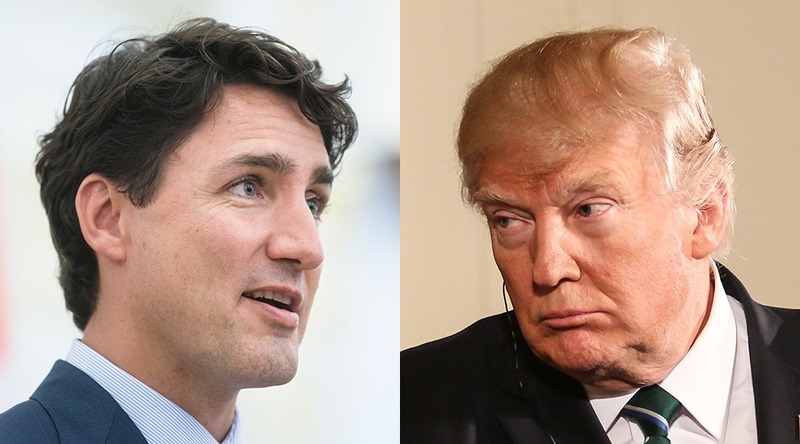 Researchers found Trudeau had a net favourability score of +11%, making him much more popular than Trump, who had a score of MINUS 12%. Not all high profile Canadians are so beloved in the US though. According to a release, 27% of respondents gave Justin Bieber and Drake an unfavourable rating, the most of all the Canadian people and specialities discussed. “Listening to and understanding where the public stands on any issue, including its thoughts about Justin Bieber, are an important part of the public affairs tradition that both countries share,” said Adam Shapiro. Indeed, the poll found 79% of respondents do like maple syrup. Obviously. But our other national icons did not fair so well. Americans can take or leave hockey it seems, with only 49% of respondents saying they liked Canada’s national sport. And Canadian beer is not to their taste taste either, with only 39% of those polled saying they liked our cold stuff. Perhaps saddest of all though, is the Americans’ absolute lack of appreciation for the greatest Canadian dish – poutine. According to the study, 14% of those polled didn’t like poutine, and 41% had never even heard of it. “I was shocked at the lack of love for poutine. American’s don’t know what they are missing,” says Stefan Hankin, president, Lincoln Park Strategies. Perhaps Americans would rethink their approach to fries, cheese curds and gravy if they gave it a chance and crossed the border. According to the poll, 39% would be open to moving across the border–including 6% who have thought about moving since Trump won the election.